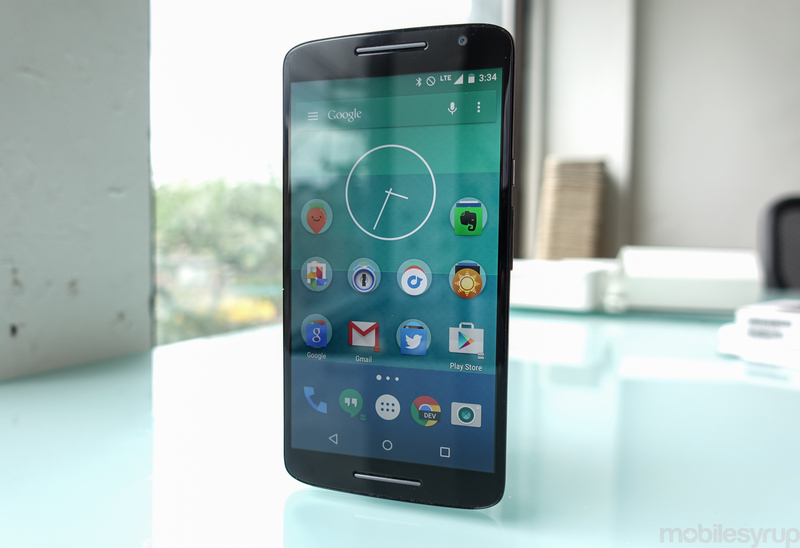 With Android Marshmallow filtering out to devices like the Moto X Play, the latest version of Google’s mobile operating has made its way onto 0.7 percent of Android devices, according to the company’s latest OS distribution numbers. 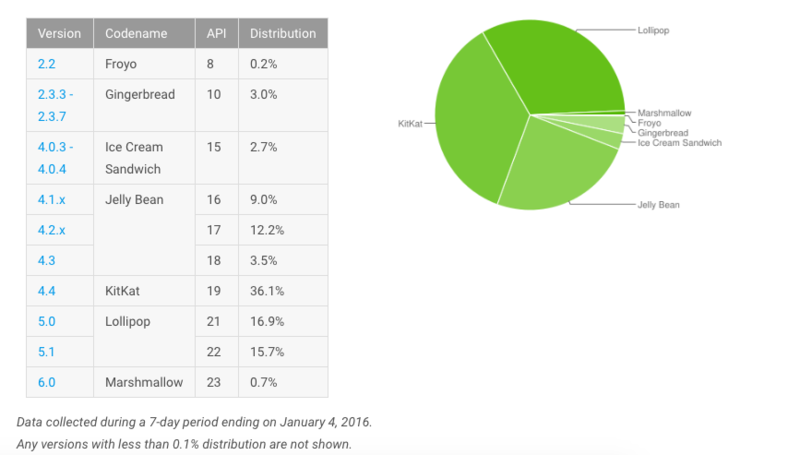 All told, since December, Android 6.0’s share of the Android pie has increased by 0.2 percent. Meanwhile, major versions of Lollipop — specifically, Android 5.0 and 5.1 — now account for 32.6 percent of the operating system’s overall picture, which means Lollipop is now on more than 30 percent of Android devices. Otherwise, these are the same trends we’ve seen for the past couple of months. At 36.1 percent, a o.5 percentage point decrease since last month, KitKit is still the most used version of Google’s operating system. Likewise, Jelly Bean and Ice Cream Sandwich continue their steady decline; the two previous OS versions are on 24.7 and 2.7 percent of devices, respectively. Froyo, meanwhile, which now close to six years old, is still on 0.2 percent of devices — it’s been there for a number of months now. I’d like to meet these people that are still using their Froyo-era phone.